As Executive Director for the New York eHealth Collaborative (NYeC), Valerie Grey interacts with a diverse group of stakeholders working together to advance care, improve patient outcomes, and lower costs in New York State through health information technology. In partnership with the New York State Department of Health, NYeC leads the state’s public health information exchange, the Statewide Health Information Network for New York (SHIN-NY). The SHIN-NY is comprised of regional health information organizations and a statewide connector — it is one of the largest state HIEs in the country. Val serves on a number of committees aimed at improving healthcare including the ONC’s Federal Health Information Technology Advisory Committee (HITAC), New York State Department of Health Transparency, Evaluation, and Health Information Technology Workgroup, FAIR Health New York Healthcare Online Shopping Tool (NY HOST) Project Advisory Committee, among others. To reach Valerie Grey, please contact Hope Redden, Executive Coordinator, at hredden@nyehealth.org or via phone at (518) 299.2096. 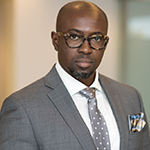 Eric Boateng is the Chief Information Security Officer for the New York eHealth Collaborative (NYeC) and the Statewide Health Information Network for New York (SHIN-NY). In this role, he is responsible for the strategic leadership for SHIN-NY’s and NYeC’s overall information security program to ensure NYeC and the SHIN-NY enterprise information assets and technologies are adequately protected. Eric serves a key role working closely with the rest of the NYeC senior leadership team, Qualified Entity leaders, NYS DOH, and other key stakeholders of SHIN-NY. As the enterprise CISO, he is an advocate for the security needs for NYeC and the SHIN-NY and responsible for the development and delivery of a comprehensive information security strategy to optimize their security posture as a whole. Eric started his career in the defense industry with Lockheed Martin Corp. and the Dept. of Defense - US Navy as a Cyber Security Officer. More recently he was the CISO, Chief HIPAA Security & Chief Compliance Officer at the Georgia Deptartment of Human Services (DHS) located in Atlanta, GA, where he successfully managed their entire cybersecurity program. Eric brings a wealth of experiences from multiple industries including the financial industry where he was at RoundPoint located in Charlotte, NC as the VP, Information Security and Risk Management. Eric received his BS in IT from University of Central Florida, and possesses an MS in Management Information Systems from Rensselaer Polytechnic Institute, an MS in Information Security & Assurance from Carnegie Mellon University, and a professional degree (PD. Eng.) from Columbia University and holds multiple IT security certifications. As Chief Information Officer, Thomas Licciardello leads all aspects of the technology department for the New York eHealth Collaborative (NYeC). He is responsible for the infrastructure, operations, and development and provides the technical vision and strategy to continuously drive and enhance technology products and services. He also serves on the senior leadership team of the organization, collaborating cross-functionally to ensure innovation, security, compliance, policy, and financial stability to drive and support the mission of the organization. Thomas Licciardello brings 20+ years of solid and progressive enterprise-level experience building world-class technology products and services. He has been recognized for partnering with business teams and executives and building high-performing teams to align on organizational priorities and transform technology to move organizations forward. He has experience as Lead Systems Engineer for AIG, Director of Information Technology at XpresSpa, Vice President, Infrastructure and Operations at Teach For America, and Vice President, Information Technology, Infrastructure, and Security at WebMD. Thomas has a Bachelor of Science in Computer Science from Pace University. He also holds a Master of Science in Executive Technology Management from Columbia University. He has multiple technical certifications from Microsoft, ITIL, CompTIA, the Gartner Leadership Academy, and more. 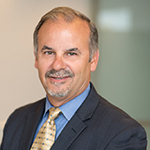 As Chief Financial and People Officer, Bruno Pettoni brings over 30 years of financial management experience to New York eHealth Collaborative (NYeC) with 10 of those years in the healthcare environment. Prior to joining NYeC, Bruno held the position of Chief Financial Officer (CFO)/Vice President (VP) for Youth Consultation Service, Inc., the largest non-profit healthcare agency serving youth in the state of New Jersey. In this role, Bruno directed all financial aspects of the business including accounting practices, budgeting, cash flow management, financial planning, interface with the Board of Directors and the financial banking community, and monitoring of financial performance. 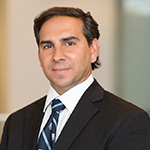 He has also served as CFO/Director of Operations for a technology distributor and service organization servicing Fortune 500 companies in East Rutherford, New Jersey and as Controller for a venture capital company in Ridgewood, New Jersey. Earlier in his career, he held various positions with public accounting firms. Bruno is a hands-on financial manager. He holds a Bachelor of Science degree in Accounting from Montclair State University. He is a Certified Public Accountant (CPA) and a member of the New Jersey Society of CPAs and the American Institute of CPAs. 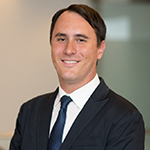 Nathan Donnelly is the Senior Vice President, Policy and Analysis, at the New York eHealth Collaborative (NYeC). In this role, he is responsible for the analytical leadership in developing NYeC and Statewide Health Information Network for New York (SHIN-NY) strategy, policy, data analytics, and stakeholder engagement. He also leads strategic initiatives as part of the SHIN-NY 2020 Roadmap, including quality measurement for value-based payment and advisory groups for healthcare providers, health plans, and consumers. He brings deep knowledge across a broad range of critical healthcare issues, value-based care, delivery system reform, strategic planning, reimbursement methodologies, patient engagement, and health disparities. Prior to joining NYeC, his work included leading and supporting multidisciplinary teams with analyses at Manatt Health and the Healthcare Association of New York State (HANYS). His statistical methodology and model development involved large healthcare data sets, including claims and social determinants of health, to advise on research design, strategy, policy, finance, and business restructuring. Elizabeth Amato is Vice President, SHIN-NY Programs at the New York eHealth Collaborative (NYeC). She is responsible for overseeing and fulfilling many critical tasks through NYeC’s role as the State Designated Entity (SDE) in New York including the organization’s responsibilities and obligations as the prime contractor to NYS Department of Health and the SHIN-NY performance-based contracts with the Qualified Entities (QEs). Additionally, Elizabeth leads many aspects of the governance, coordination, and administration of the SHIN-NY enterprise as well as the formation, operations, and management of SHIN-NY Programs; many SHIN-NY programs provide funding assistance to providers and other healthcare entities to enable and support health information exchange. Prior to joining NYeC, she was Director of Health IT with a consulting firm where she helped physician practices, FQHCs, Health Homes, and other stakeholders implement EHRs and leverage HIE to reach Meaningful Use and improve their ability to coordinate care and improve health outcomes. Prior to consulting, Elizabeth was part of an administrative team in a large private practice where she gained first-hand experience in the importance of health information technology, physician access to clinical information and data, vendor relationships, and the quadruple aim. Elizabeth has a Bachelor of Science in Psychology and Education and a Master of Science in Health Administration. Gamble Heffernan is the Vice President, Innovation at the New York eHealth Collaborative (NYeC). In this role, she is responsible for the development of statewide innovation strategy to leverage emerging technology and improve and increase interoperability across the broader healthcare ecosystem. Gamble serves on NYeC’s senior leadership team as a healthcare innovation thought leader and facilitates the organization’s Innovation Advisory Group and Digital Health Innovation Lab initiatives. She provides subject matter expertise to the SHIN-NY and its key stakeholders. Gamble’s career in healthcare technology spans across clinical, diagnostics, medication management, and patient engagement solutions – from device to EHRs and interoperability. 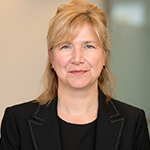 Her roles were focused on the leadership of product management and strategy in organizations such as GE Medical, Johnson & Johnson, Alaris/Cardinal, Misys/Allscripts, and Healthgrades. Prior to NYeC, she was the Chief Transformation Officer for Dude Solution’s, a leading SaaS solution for asset and facility management in the education, healthcare, and government markets. 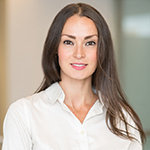 Jessica Ohlssen is the Vice President of Healthcare Advisory Professional Services at the New York eHealth Collaborative (NYeC). In this role, Jessica oversees provider assistance programs that help doctors implement technologies and processes to improve healthcare delivery across New York State. Additionally, Jessica and her team assist clinicians in their transition to value-based payment (VBP) arrangements. She also plays a leading role in the business development and sustainability of the organization. 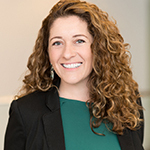 Jessica brings 10 years of healthcare experience ranging from clinical research to full cycle implementation of technologies at hospitals and health systems to building a health and wellness startup. Prior to her role at NYeC, Jessica was a breast cancer researcher at Mount Sinai Icahn School of Medicine. Her research at this institution was published in the journal Science Translational Medicine. Subsequently, Jessica supported New York City doctors in adoption and implementation of EHRs at the New York City Department of Health and Mental Hygiene’s Primary Care Information Project (PCIP). Additionally, she lead training, implementation, and PMO of a care coordination software to many of the Health Homes across the state. Jessica has a Bachelor’s of Science in Psychology and Chemistry from DePaul University Chicago and a Master’s of Science in Urban Policy Analysis and Management, Health Policy and Management from the New School University.